Why ‘barefoot’?? 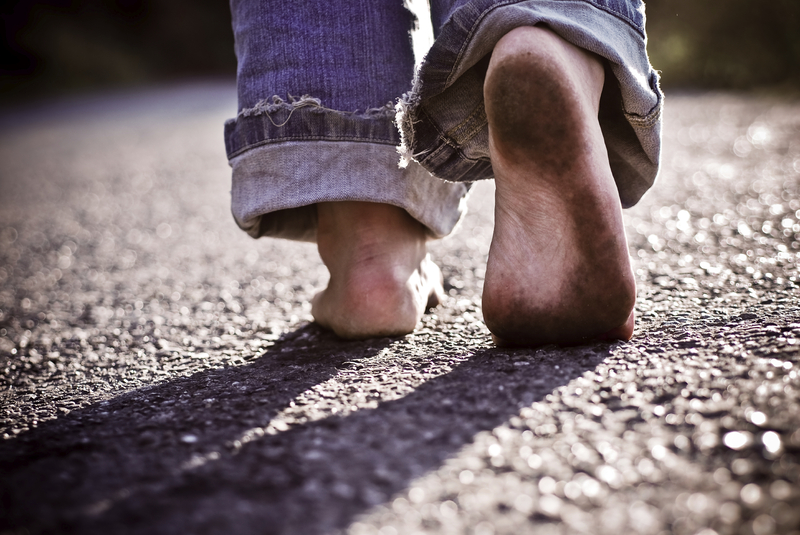 In the past months, as my son and I have talked about a Christ-centered church, he came up with the phrase ‘barefoot theology,’ which I immediately liked. Since then he and a friend are doing podcasts under the head ‘Barefoot Souls‘ – you may want to take a listen and enjoy these some time [you’ll find an early example on my blog]. Being a largely N. American-based presentation, it proves frustrating to leaders in a two-thirds or third world context. I used to beat myself up in my traditional church days when these formulae for success failed – no more! These leadership summits often over-emphasise the role of leadership in the contemporary Church, giving it a place which is just not there in the biblical revelation, especially the NT. Even those non-conformist faith communities that claim not to be hierarchical have their own top-down set-up’s. I mean I served as a ‘senior pastor’ with leadership structures under me (and above me) for almost four decades in a well-known non-conformist denomination – I think I know what I’m talking about. Hence, another plea (in solidarity with many others across the world) for a ‘barefoot leadership,’ one growing from the ground up, one that is earthed in reality, a grass-roots and horizontal leadership in every way. Think of the great Indian and world civil rights lawyer and leader, Ghandi (1869-1948), who engaged with world leaders and his beloved ‘untouchables’ alike in quite literally a simple dhoti, shawl and sandals, symbols of his heart. Whatever your political views, many within and outside of N. America have admired the humble, simple leadership of now 90-year-old Jimmy Carter, recently diagnosed with cancer. The story is told that in their small, local Baptist congregation he and his wife have been on the roster for seeing that the toilet facilities are kept clean and hygienic. Bernice King, daughter of MLK Jr recently twittered ‘May the Lord heal, comfort and encourage this extraordinary servant-leader to the world.’ Even in old age he’s just never stopped serving God and society through hands-on pioneering of human-rights and conflict mediation at so many levels. I was interested in Alison Levine’s article (a Seven Summits climber herself) “Here’s what you can learn about leadership from ‘Everest. '” She relates how Hollywood movie director Baltasar Kormakur was determined to make ‘Everest’ as authentic as possible – after all it is based on the true story of two groups who attempted to scale the world’s highest peak. He wanted to make the people and events as human’ and ‘real’ as possible, so the cast shot at -22F and 16,000 feet… they were plagued with headaches, nausea and insomnia experienced under such conditions. So how did Kormakur get his celebrity cast (Jake Gyllenhall and other A-listers) to deal with such uncomfortable conditions and such a gruelling shoot schedule? In his own words, “I think what is helpful is that I will stay right there with them, in the same conditions, show them what they need to do… So they are more likely to work with you than if you’re sitting some place warm and telling them, ‘Keep going! '” Bingo! At another whole level, how I love the different, defining, incarnational and refreshing barefoot lifestyle and leadership of Jesus! How real this became to my wife and I when we visited Israel and Galilee ourselves for the first time a year ago, walking in the hot sun (40 degrees plus), wondering how Jesus did it all – barefoot, or in sandals, when our bodies perspired and our feet ached even with the most modern walking shoes and the respite of an air-conditioned bus waiting for us to take us to our next air-conditioned hotel! Now there’s the essence of ‘barefoot leadership.’ ‘The Word became flesh and blood, and moved into the neighbourhood. We saw the glory with our own eyes, the one-of-a-kind glory, like Father, like Son, generous inside and out, true from start to finish’ (Jn. 1:14, MSG). There’s our pattern and power… it must and can be done (Jn. 15:1-17)… are we willing to surrender all to Jesus? ?